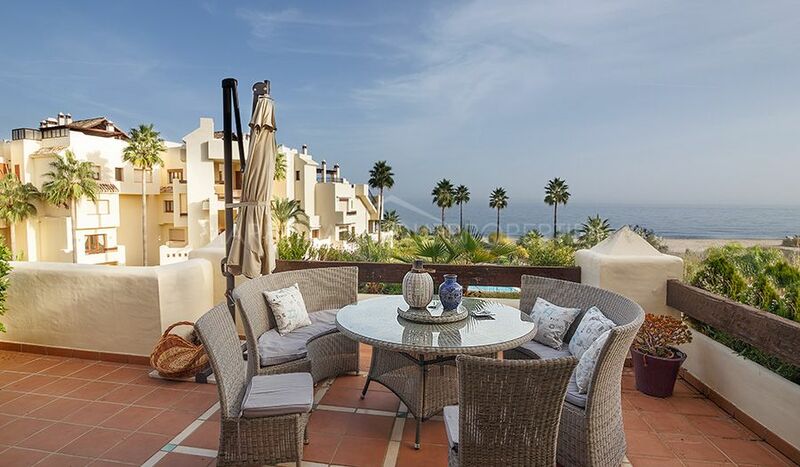 This 3 bedroom penthouse decorated in a fresh contemporary style has 160m2 of the terraces with panoramic views to the sea and is located in the gated community of Hacienda de Señorio de Cifuentes in Benahavís. The spacious property is boasting modern entrance hall leading to the living area with the kitchen and living room with dining and sitting areas all with access to the main terrace. The fully equipped kitchen, that communicates with dining area via open window bar. Two bedrooms with access to the second terrace. One of them master bedroom with the dressing area and en suite bathroom. Another bedroom sharing the bathroom with the third guest bedroom. Under floor heating and air conditioning hot and cold throughout. The main terrace surrounding the whole living area of the apartment with comfortable dining areas and second terrace with exercise area and stunning sea view. 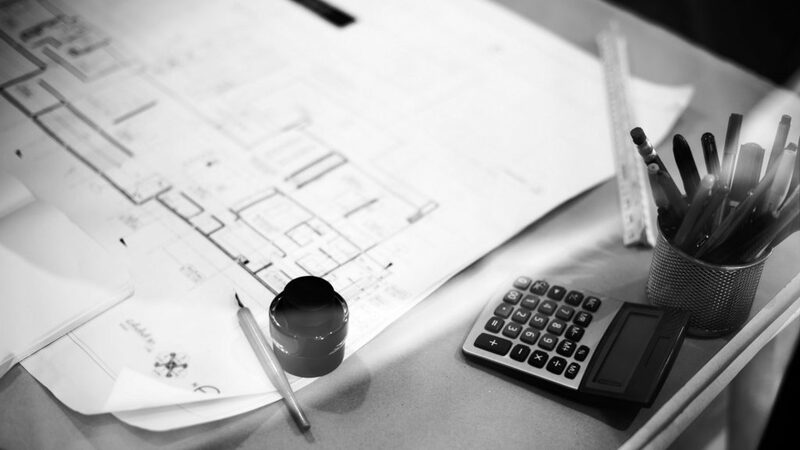 The apartment is to be sold furnished, including a garage space and storage room in the underground secure parking. Set in a quiet gated community with extensive gardens, attractive water features and four large swimming pools. Surrounded by nature allowing pleasant walks. Close leisure activities and various golf courses. 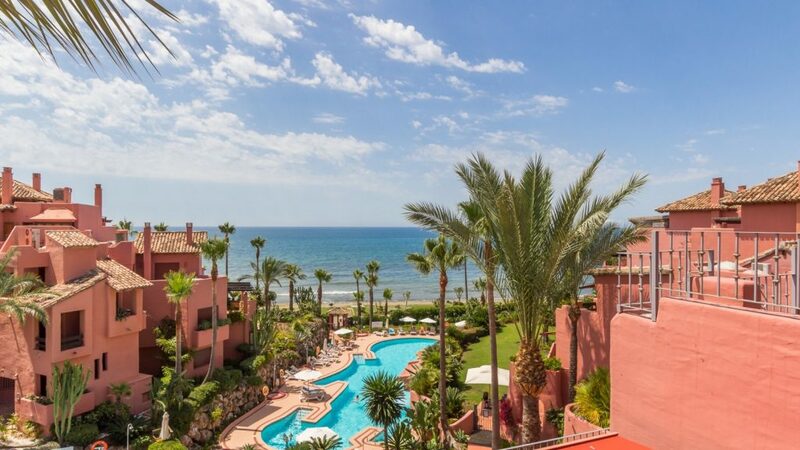 Located just 10 minutes drive from the gastro village of Benahavis and 15 minutes drive from Puerto Banús. 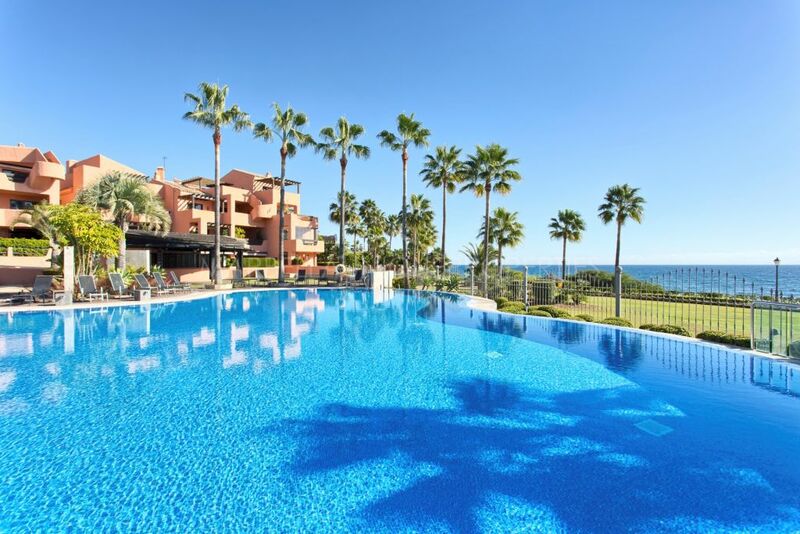 Please, send me more information about ref 239-01319P, Penthouse in Hacienda del Señorio de Cifuentes, Estepona or similar properties.